When looking for extreme sensations, you can experience the risk of an accident. For everyone a perfect holiday means something else. 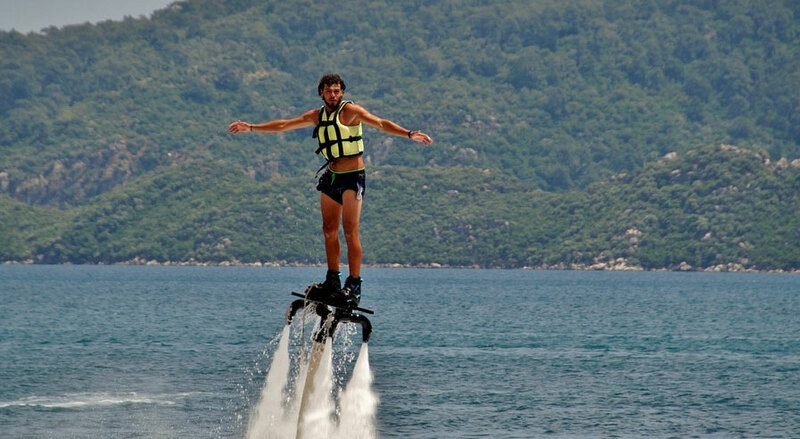 Some will be happy with laziness on the beach, while others take the chance to visit the most valuable monuments, and yet others will enjoy extreme entertainment, giving themselves a powerful injection of adrenaline. The thrill seekers come from year to year, so the number of chilling blood in the veins of tourist attractions is also growing. 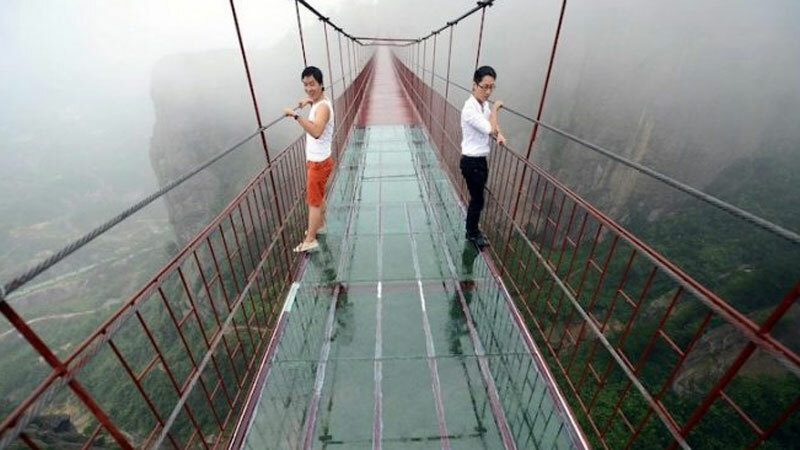 One of the most spectacular tourist attractions in Asia is the glass bridge in China. The crossing is located at an altitude of over 1000 meters and stretches along the Taihang Shan mountain range in the east of the country. Films that show tourists on the glass bridge have become a hit in the internet, because people of all sorts cope with the fear that falls on everyone under their feet to see the abyss that could drop them a kilometer below. Certainly, this is entertainment for people with very strong nerves. Recently, the network has taken a unique recording as the man on the bridge breaks the glass. However, it turned out that it was … a planned action! He just exchanged some ordinary interactive glass panels, which, when touched, imitated cracking. Even though the crossing of the bridge is scary, this extra attraction makes the level of fear reach its zenith. Many people criticize the new panels and prophesied that they may become a cause of tragedy, such as someone getting a heart attack. See for yourself how the “broken” glass bridge looks. An artist creates ephemeral works of art close to nature. See them before they disappear!